The summer is a vast wasteland, much like this. I sweat, a lot, and far too easily. It’s yet another negative side effect of being fat. Mind you, I’m not “small-child pointing at me” fat, but enough that heat and I don’t get along. 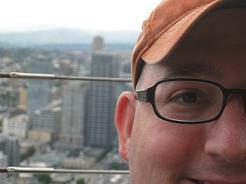 I don’t care for sunburns or mosquitoes, and both seem to proliferate during the June-July-August time frame. Thank God I have an air conditioned office, or there is no way I could make it through an entire summer and resist the urge to kill. I think the reason that the murder rate spikes in the summer months (especially in hot places, i.e. the South) is that people get irrational when their internal temperature reaches a certain point. I call this the irrationally stupid hot boiling point, and when anyone hits this internal temperature they become irrationally stupid. If you put Stephen Hawking in Atlanta in July and had him simmer on the street for a few hours, he’d be doing drive-bys with his wheelchair, it doesn’t matter who you are, everyone has a breaking point with the irrationally stupid hot boiling point. My ISHBP is much lower than the average person’s, which is why I have to be careful. I carry an ice tray in my back pack during July, you know, just in case. Of course, I’m a sports fan, and while I like baseball as much as the next guy, it gets a little bare bones when baseball is the only thing on the docket. It’s so bad at the moment that I just intentionally bought four tickets to a Major League outdoor lacrosse game. Okay, so mostly I did it because they are also having fireworks afterwards, but you can see how dangerous this could become. Thankfully, the summer lasts but a few months in my part of the world, and then comes that most glorious of seasons. Autumn. Even the word is beautiful. Autumn brings with it football, and cooler temperature, and pretty leaves, and the World Series, and fantasy football, oh, and it’s not summer. Basically all good things. So as we sit here at the end of June, I am girding my loins. Yes, it is summer, but I comfort myself by knowing that fall is coming. It’s not coming quickly enough for my liking, but it will come. Hallelujah, it will come. Can the Philadelphia 76ers issue in a glorious era of change? The Philadelphia 76ers announced Tuesday that they will be going back to their roots, at least aesthetically. They are dropping the solid but unspectacular Silver, Gold, Black, Red and Blue Logo that they have used for the past decade and gloriously replacing it with the previous logo that they used from 1963 to 1998. This previous logo is a beautiful red, white, and blue and was in place when they won their two titles in 1967 and 1983. I would like to applaud the Philly NBA brain trust who realized that the best way to go with a historic team like the Sixers is to embrace the past and attempt to return to their previous glory. If you’re named after the year the Declaration of Independence was signed, you really need to embrace patriotic colors, plus the old logo is awesome. Atlanta Falcons: I would keep the Falcons current logo in place as I like it much better than their old one, but I’d make their helmets red again like they were in the days before Jerry Glanville. Buffalo Bills: They need to permanently embrace the royal blue uniforms with the white helmets that feature the standing buffalo. They have been sporting these on occasion of late, and they should make the change permanent or at least go back to the Jim Kelly era uniforms, as the hideous things they wear now are embarrassing. Buffalo Sabres: Ditch the Buffaslug posthaste and go back to their beautiful crossed swords logo with the leaping buffalo above it. That is one of the most handsome unis in sports history, and it’s a shame they ever ditched it. Carolina Hurricanes: This goes beyond just the uniform, as they need to move back to Connecticut and then quickly get back into those beautiful Whalers jerseys. That is one of my favorite uniform and logo combinations of all time. Cincinnati Bengals: They should drop their hideous new uniforms and return to the Boomer Esiason era jerseys. It’s not that those uniforms were all that great, but the threads they sport now are an abomination. Houston Texans: It’s not like the Texans have a whole lot of history or an exciting uniform, so I suggest they change their name to the Oilers, don the powder blue jerseys and the oil derrick. Warren Moon and Earl Campbell really made those things work, and the name Oilers is much better for Houston than the generic and stupid name of “Texans”. Milwaukee Brewers: Duh, the wonderful ball and glove logo should again become their daily uniform, as it is vastly superior to the rather bland getup they currently wear. New England Patriots: They must return to their Pat the Patriot helmet and those glorious red jerseys. Those uniforms are so much better than the Flying Elvis logo, I can’t even begin to express how much nicer they would look on the field. However, since they’ve won three Super Bowls in their new threads, I imagine this won’t happen. New York Mets: The Metropolitans should really remove all traces of black from their uniform and go back to the pinstripes they were wearing in ’86 when they were one of the most interesting teams of all time. Philadelphia Eagles: I’d do a subtle change here. Keep the current helmet pattern, but go back to their brighter green color and ditch that ugly dark brooding green. Seattle Seahawks: I don’t hate their new uniforms as much as many people do. 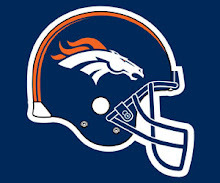 I feel that they should keep their current logo, but make their helmets silver again and their jerseys the beautiful bright blue and green colors from the past. St. Louis Rams: They should definitely and immediately go back to the blue and yellow they won the Super Bowl with. Those colors were beautiful on the field. Toronto Blue Jays: I would love them to go back to their awesome uniforms from their World Series winning days of the early nineties. Joe Carter looked great trotting around the bases after taking Mitch Williams yard to win it all. Vancouver Canucks: They need to embrace their blue and green uniform set with the stylized C logo. Ditch the Orca already. Of course, there are also exceptions to this retro trend. One team that should never under any circumstance make a permanent return to its old uniform would be the Tampa Bay Buccaneers. I am pleased that they are going to wear their creamsicle uniforms on November 8th against the Packers, because it serves as a reminder of one of the uglier uniforms in league history, and I have do have a soft spot in my heart for teams wearing ugly retro uniforms for a game or two (Obvious example: The Broncos Vertically Striped Socks uniform), but under no circumstances should the Bucs entertain the notion of permanently returning to the Bucco Bruce uniform set. Butterscotch pudding is very tasty, but the color makes for a lousy uniform. 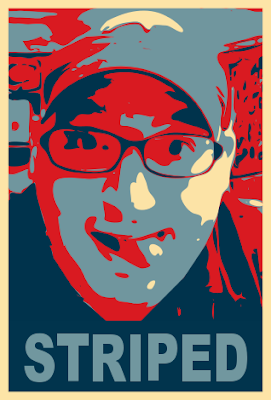 Vertically Striped Radio - Episode 5: Pardon me, ma'am. You're dress is ringing. Episode 5 of Vertically Striped Radio, Joe of the Dave Dameshek Message Boards joins us to chat up the NBA Draft. 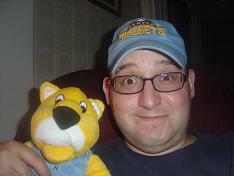 News of the weird, a homeless guy freaks me out downtown, the Rockies are on a roll, and the Broncos are not. I break it all down, plus give a twitter update. I thought it was a pretty good show, despite the fact that my brother was a no-show. I think I may need to update his status to part-time show host. Oh well, it was a fun show to do, thanks for checking it out. You can download it from www.blogtalkradio.com/verticallystripedradio or you can just listen below, if you like. 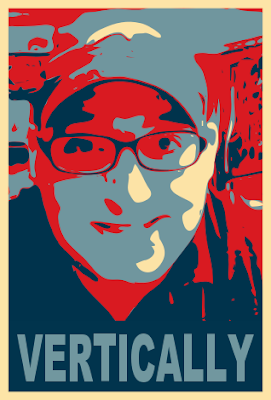 If you'd like to reach me about the radio show, you can email me at radio@verticallystripedsocks.com I'd love your feedback! Brandon Marshall poses in his Vertically Striped Socks shortly before demanding to be traded away from the Broncos. 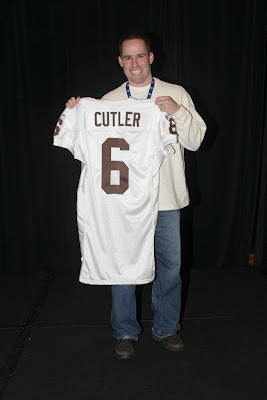 Josh McDaniels holds aloft a throwback Jay Cutler jersey only days before trading the quarterback away. This trend is beginning to concern me. Although I find the Broncos retro uniforms that they will be wearing to be so ugly they are charming, I am beginning to wonder if they are actually cursed. You see, when it was first announced that the Broncos would be wearing replicas of their first AFL uniforms with the Brown and Yellow colors and the vertically striped socks which give this blog it's name, Jay Cutler was almost out of Denver. Shortly before his trade, Josh McDaniels held aloft a retro road jersey with Cutler's name on the back, and just like that, a very short while later Cutler was a Chicago Bear. These two events are leading me to believe that there is either a curse placed upon these uniforms which cause players to immediately want out of town the instant that they see their names applied to the back of one of these jerseys, or else the players find them so reprehensible that they instant they see one which has been constructed for them they instantaneously demand a trade. Either way, it's not a good sign. 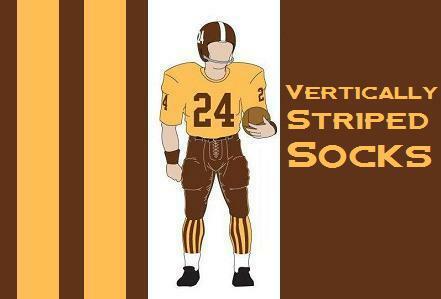 The Broncos were a miserable 4-9-1 their first year wearing these duds in 1960 and then finished 3-11 the next year for a lifetime record of 7-20-1 in the vertically striped socks. Obviously, I tend to like these goofy uniforms in a "so ugly they're beautiful" kind of way, but I am beginning to wonder if there is a jinx upon them. They were definitely not popular in Denver the first go around as the socks were burned in a bonfire at the conclusion of the 1961 season, and perhaps part of the reason they were so vilified was that in addition to being somewhat ugly, they were also cursed. The curse would help explain this horrendous off season in which the best coach in franchise history was summarily dismissed, then a young whipper-snapper was named head coach and he promptly ran off the franchise quarterback in exchange for Kyle Orton and some assorted picks, and now it appears that one of the more exciting wide receivers in team history is looking to get dealt out of town as well. I still love the vertically striped socks, but I also have to wonder if all this doesn't go down if they don't announce the retro plan. If there was a reset button for the off season in the same way that you can press it if this were a PlayStation game, I'd like to press it now. shortest leash ever for a guy who has never even been Head Ball Coach for a single game. Hopefully he has it together better than it appears from this Bronco fan's perspective. I want to be excited for the Broncos season, but it gets harder to do so with each passing week of this dreadful offseason. Here is my hope. Brandon Marshall comes to his senses and comes back to the Broncos, McDaniels really is the genius that he thinks he is, Kyle Orton really is the overachieving hard worker everyone says he is (rather than the subpar quarterback I expect that he is.) and the Broncos put together a solid season with promise for the future. My expectations are so low that I would consider an 8-8 season to be a rousing success at this point. This is the first in a series of one on one interviews I hope to do with Vertically Striped Radio. 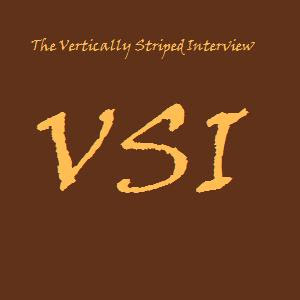 For this first episode of the Vertically Striped Interview, I spent almost an hour talking with Dave Terpstra, the former teaching pastor at The Next Level Church. Dave is getting ready to move his whole family to Africa to be a missionary in Mozambique. He shared what his life is looking like now, ways that people can help, along with revealing that his favorite band of all time is Poison, and that he would have a In-N-Out Double Double animal style with no tomatoes as his last meal if he were on death row. Needless to say, it was an interesting interview. Also...Check out ways you can help Dave and Amy in their mission by checking out http://www.daveterpstra.com/ and look to see and learn more about what is going on in their lives. Episode 4 of Vertically Striped Radio is in the can! On this weeks episode, we took some time to revel in the Penguins winning the Stanley Cup, and more importantly, the Red Wings NOT winning the Stanley Cup. We broke down the news including one of the weirdest news stories of all time, and a story about a dog with a hankering for the Marijuana. We also broke down the NBA Finals, and did a scientific breakdown of which Finals team was the more likable, with unsurprising results... The hour flew by, and it was a ton of fun. I highly recommend checking it out! You can download the file as always at www.blogtalkradio.com/verticallystripedradio, or you can listen straight from my blog with the widget that is posted below. 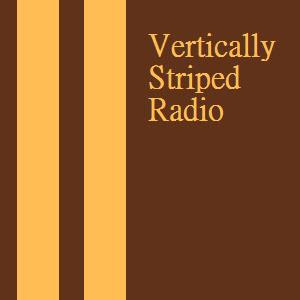 Hope you enjoy the Vertically Striped Radio, and thanks for listening! This is a very special woman. My wife, Jennifer. Today, I have been married to her for nine years. Jen is one of the strongest and best people I have ever known. She is a loving and faithful wife, and she puts up with all of my goofy antics, which should probably have her nominated for sainthood by now. Not only that, but she keeps on loving me even when I am not always lovable. I met and fell in love with her when I was a worldly Junior in college, and she was an innocent and wide-eyed freshman. At first she was smart enough to know that she probably shouldn’t date me, but I was persistent, and eventually she succumbed to my charm. Poor thing hasn’t been the same since. She has been fiercely loyal the whole time I have known her, and there is no one in the world that I trust more, which is good because she knows all of my passwords and ATM codes! She stuck with me while we were dating, even when one summer half of my face stopped working. (That's a true story.) She even drove to see me almost every other weekend her final year of college when I was working three hours away from her in a little bitty town in south central Kansas. Not only is she loving and special, but she also is an awesome mother. She loves our children so much, and is so good at taking care of them and raising them in the way they should go. I love her for how strong she is and for what a good wife and mother she is, and because she’s just a great person and a close friend. She challenges me, loves me, respects me, goofs on me, and supports me. I am a better person today because she is in my life, and as we begin our tenth year together, I just want to say to you Jen that I love you more than ever. You are my love, my rock, and my life, and I’ll love you forever and I’ll love you for always. Happy Anniversary, my love! It's Monday, and I'm feeling lazy so it's time to break out a little "Hope and Change." It's Monday, and I while don't really feel up to a full post today, I am a giver. I couldn't let you get all the way through this Monday without a little something. Therefore I thought I would give you some inspiration for these dark days, after all there's a repression going on. So I bring you Hope and Change. I don't even need to give you any details, it's strictly "Hope and Change" for my platform, and you'll eat it up! It's almost enough to make you want to get out there and vote right now, isn't it. Sadly, it's only June. Remember, for the change America needs, it's Vertically Striped Socks in 2009! Hope and Change, people.